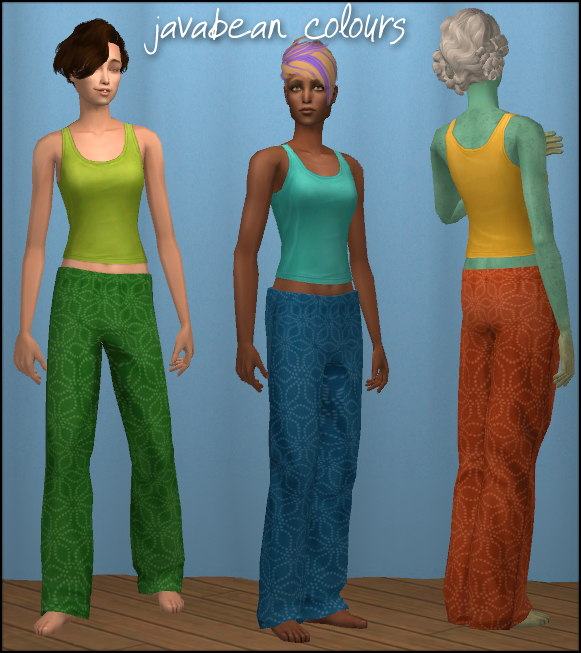 I've loved javabean's But His Are Better PJs since I first saw them, and downloaded them immediately... and they didn't work. Due to laziness and ennui, it took me about six months to get round to figuring out why, but it turns out that there was a problem with Amaryll's mesh, which she fixed! Yay! 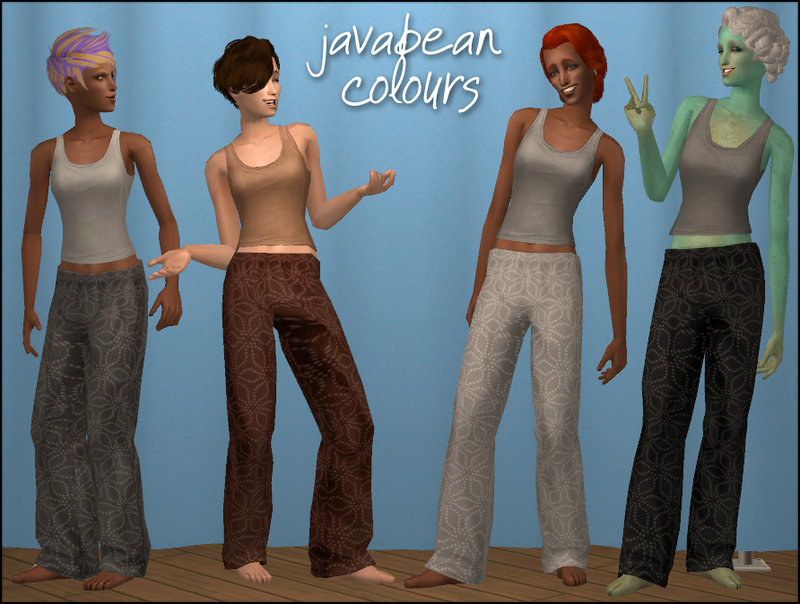 Download javabean's original retextures here. Delete the original Amaryll mesh. Download "Javabean Adult Retextures Fix.7z", and extract it into the same folder as java's originals. Make sure that zzNyshaMTS_java-ButHisAreBetter_Fix.package stays in the same folder as the originals. 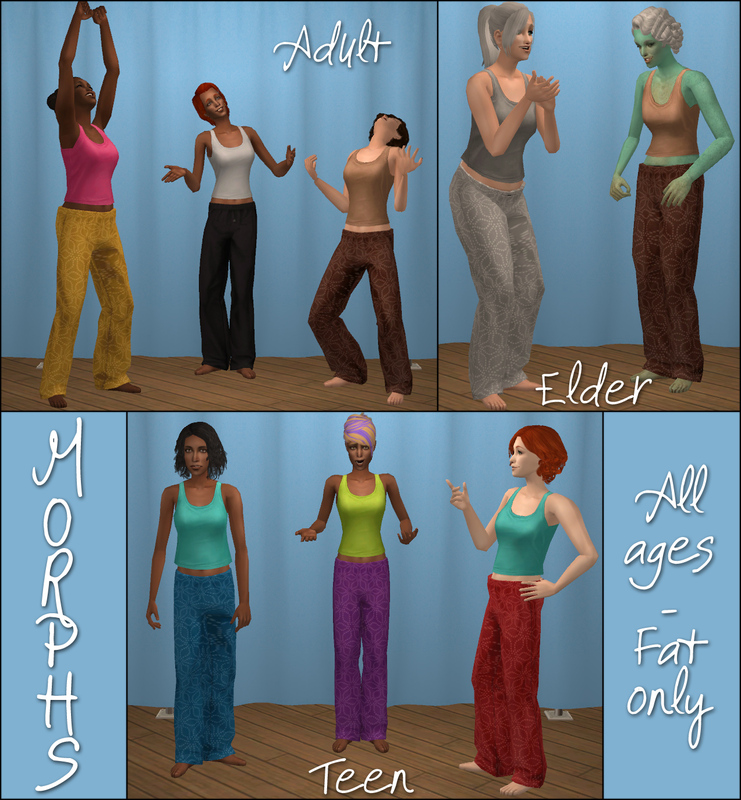 Ndainye's converted meshes include fat morphs, although they're not very fat. You can see both Ndainye and Amaryll's fat morphs in the pics. There's also a preg morph, in its own pic at the end because I only realised Ndainye had made one once I'd finished everything else. HUGE thanks to Amaryll, javabean_dreams and Ndainye for their respective meshes and textures! Ndainye Age Conversions - Non-Default.7z | Description: This file does not include the fix for javabean&#039;s retextures. If you also want that, download it separately!